The book covers all the material of single and multivariable calculus that is normally in a three semester course for science, mathematics, and engineering students. The style is less formal and more personal than the typical text, and it has a definite point of view that helps keep the book to a reasonable length. The present text is the result of several years of study and trial in the classroom in an effort to make an introduction to college mathematics more effective and better suited to its place in a scheme of education under modern conditions of life. Table of contents: Functions (Definition of a function, Domain and range of a function, Specifying or restricting the domain of a function); More about functions; Piecewise functions and solving inequalities; Polynomials; Solutions to exercises. 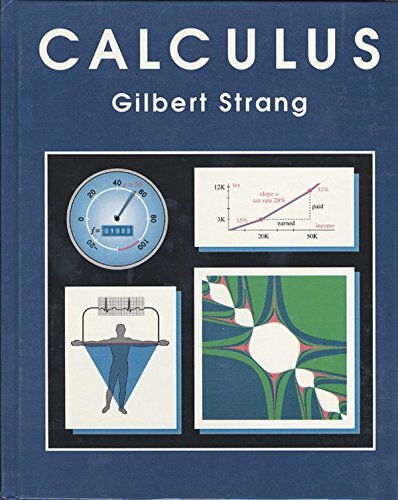 Calculus and many of its applications are discussed in this book. The reader should have a good understanding of algebra as well as geometry and trigonometry. There is also lots of non standard material, like some theorems of advanced calculus. These lecture notes cover the number system, functions, derivatives, special functions, limits, continuity, differentiation, definite integral, techniques of integration, improper integrals, ordinary differential equations, sequences, series, etc.